This October, the scientific and "zero emission" aspects of Princess Elisabeth Antarctica will be presented to young polar scientists during two events organised by APECS (Association of Polar Early Career Scientists). Connecting closely with scientists is a key way of providing effective communication and education on polar science. The International Polar Foundation has been communicating about polar sciences for 10 years as part of its mission. On the 16th of October an online webinar is being organised to investigate issues related to sustainability in polar research as part of the Fall 2012 Career Development Series. 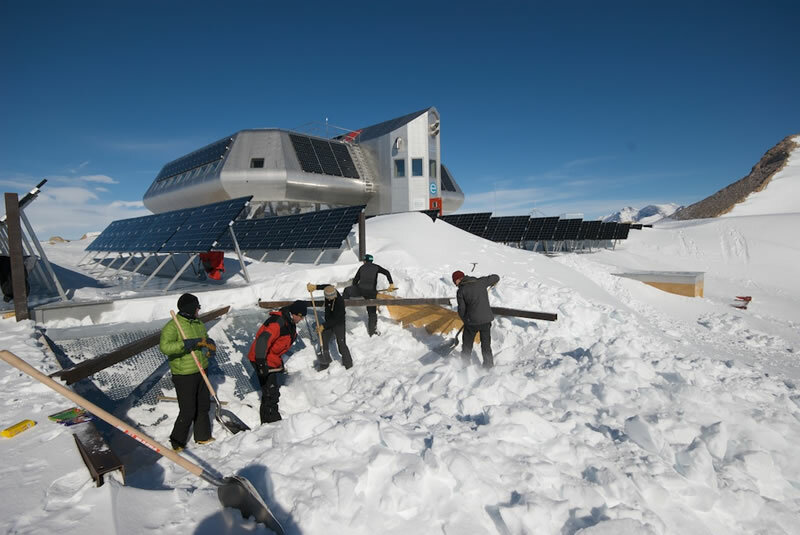 A discussion will be facilitated to help early career scientists learn about current sustainability efforts, including the carbon neutral Princess Elisabeth Antarctica research station, and think about future directions as they plan their polar research work and careers. The International Polar Foundation will also participate in the First BeNeLux Polar Early Career Scientists Symposium in Ghent on 11 and 12 October. Within this 2 day initiative APECS participants from the Benelux will share research ideas and learn about the fundamental need for Education, Outreach and Communication (EOC). Participating in such an event where young polar scientists present their work and aspirations is a good opportunity to present the science done at Princess Elisabeth Station and the education and communication activities developed around it. We are looking forward to discussions around scientific communication and outreach. Sandra Vanhove, head of the education department, will represent the International Polar Foundation at both events.